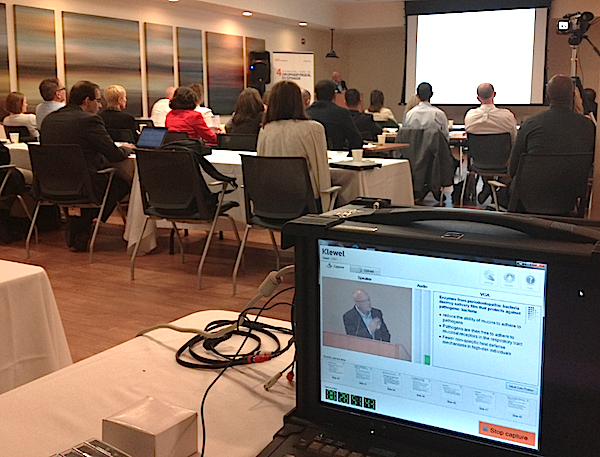 Last week, Klewel was in Toronto, Canada to record a medical course on oropharyngeal dysphagia in view of on demand webcasting. In other words, this conference was about helping elderly people with difficulties to eat. According to their article, the world’s population is projected to rise from 7 billion this year to over 9 billion in 2050. But low fertility combined with the fact that people are living longer means that 1.25 billion elderly (ages 60+) and 1 billion working-age adults will be added to the global population by 2050, while the number of people younger than 25 will hold steady at 3 billion. 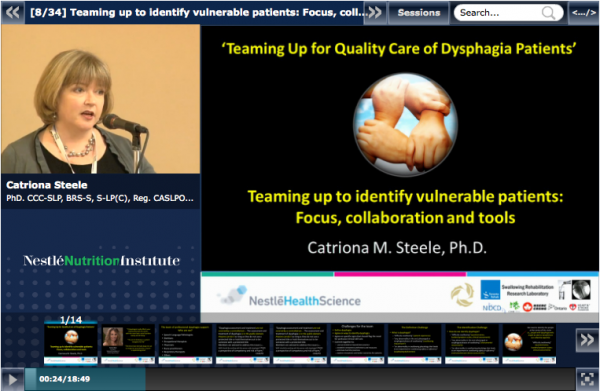 What is oropharyngeal dysphagia? According to wikipedia Oropharyngeal dysphagia arises from abnormalities of muscles, nerves or structures of the oral cavity, pharynx, and upper esophageal sphincter. Swallowing problems are a common complaint among older individuals. Some signs and symptoms of swallowing difficulties include difficulty controlling food in the mouth, inability to control food or saliva in the mouth. One of North America’s leading rehabilitation sciences centres, Toronto Rehabilitation Institute is revolutionizing rehabilitation by helping people overcome the challenges of disabling injury, illness or age related health conditions to live active, healthier, more independent lives. It integrates innovative patient care, groundbreaking research and diverse education to build healthier communities and advance the role of rehabilitation in the health system. Toronto Rehab has five centres across Toronto – Lakeside Long-Term Care, Lyndhurst, E.W. Bickle, Rumsey, University. Learn more about Toronto Rehab here.